Saint Mary Our Lady of Grace offers opportunities for lifelong faith formation. announced in the bulletin, and publicized in flyers. 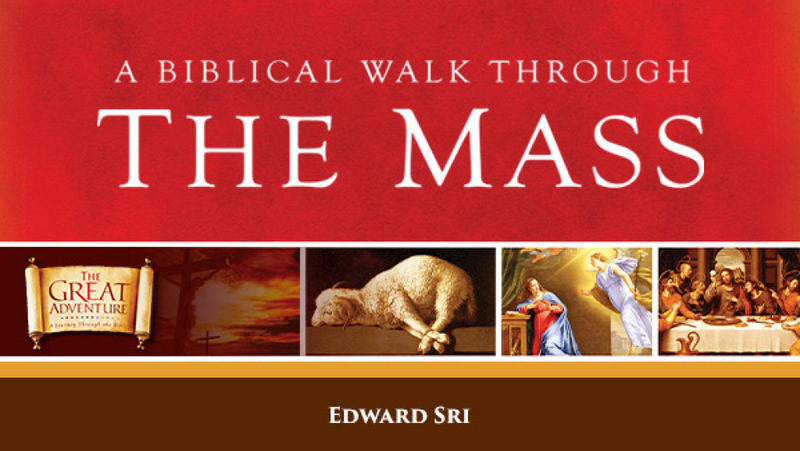 “In A Biblical Walk Through the Mass, you will come to know and understand the Mass like never before. You will discover the rich meanings behind why we say what we say and do during the Liturgy. Materials should be purchased online and received before the first class. After registering, look for the “Purchase” menu item and purchase the STUDENT pack for this study. Cost of the Student pack is $19.95 plus shipping. and looking for the verification email from Ascension. Check your spam/junk folder if you can’t find it. RCIA is the Rite of Christian Initiation of Adults. This is the process of prayer and preparation by which we welcome new members to our Church. If you have not been baptized, RCIA is for you! We also invite anyone who would like to prepare for First Communion and Confirmation in the Catholic faith to contact us. Please call us if you are interested in attending a Bible Study. Groups form as there is an interest. 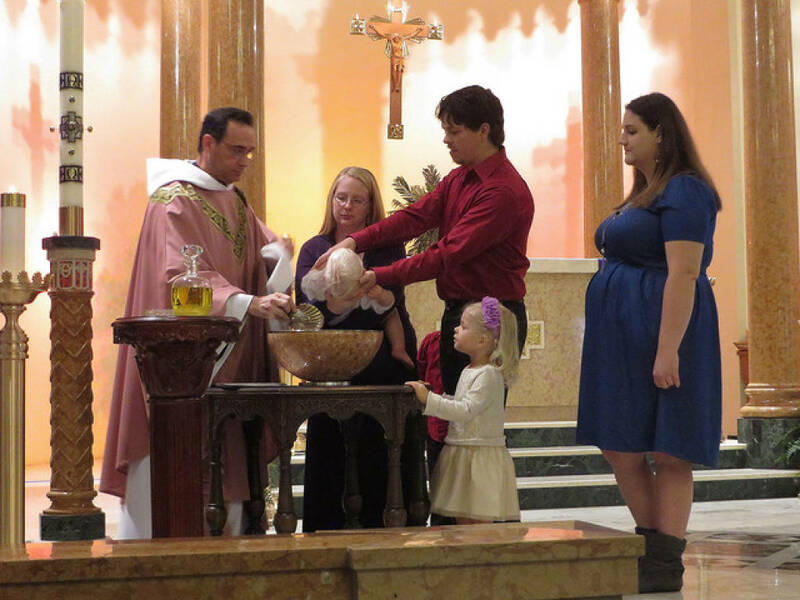 Congratulations on your decision to have your child baptized at Saint Mary's. and for our parent preparation class. Parents must be registered members of Saint Mary's Church for at least 6 months. Parents must be active members of Saint Mary's, contributing their time, talent or treasure. Parents must attend a one-time Baptism Preparation Class. Godparents are always invited to join the preparation class, too. We welcome parents who wish to have their child baptized! Please contact us to register for Baptism. Parent Preparation Class dates are on Wednesday evenings from 6:30-8:00 pm on the following dates. It is only necessary to attend one class. We invite godparents to attend our preparation classes as well. Please allow six months to plan your child's baptism. Click here to download our Parent/Student Handbook. Click here to watch a video from last year. Learning about the Catholic faith and coming to be in relationship with Jesus through the Church is a lifelong adventure. At Saint Mary's, parents and children attend a monthly session and parents share the faith at home with bishop-approved materials that we provide. 2018-2019 This year’s theme is Building a Holy Catholic Family. Each month we will explore a different aspect of building a Catholic Family. Parents will receive reading material* each month to supplement the lessons in Faith Formation. Faith sharing in your family. A pattern for faith-sharing. Family service project. Evangelization – what does it mean? Jesus died for our sins. The Paschal Mystery. Jesus sends the Holy Spirit, God forgives our sins, the priest gives us God’s forgiveness, we make peace at Mass. Eternal life, Resurrection, Easter Season and its feasts. Final Assessment handed out. 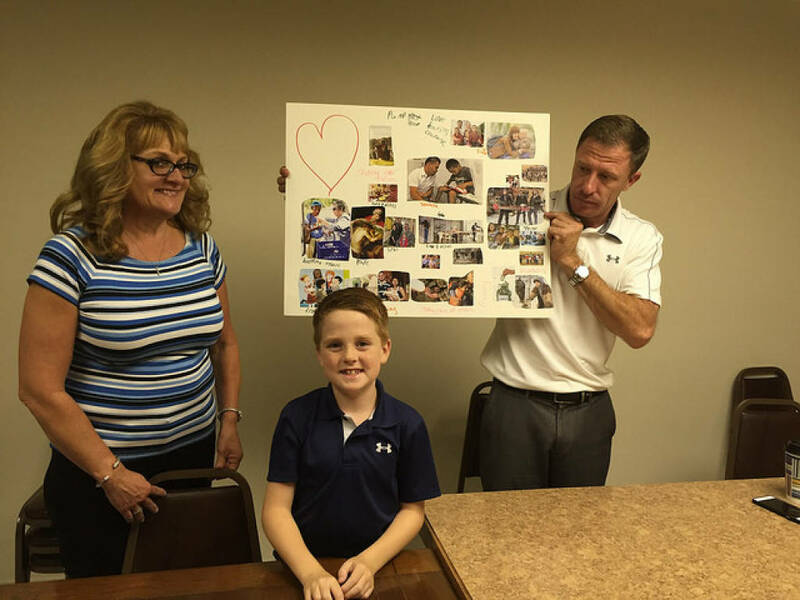 5/19/19 – Reflection on First Communion and lessons learned during the year. Closing session. Spring Break March 9 – 17, 2019. If you will be absent during Spring Break, please see Claudia for instruction on how to make up the missed sessions. Sunday, May 5, 2019 – First Communion at 11:00 Mass followed by a reception in the parish Hall. ALL FF FAMILIES ARE INVITED TO ATTEND.